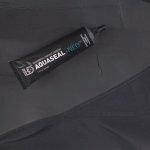 Wetsuit repair is simple and quick with Aquaseal NEO. 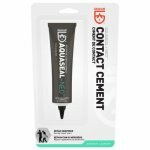 Previously known as Seal Cement, this black contact cement is formulated to permanently bond with neoprene and other coated materials. 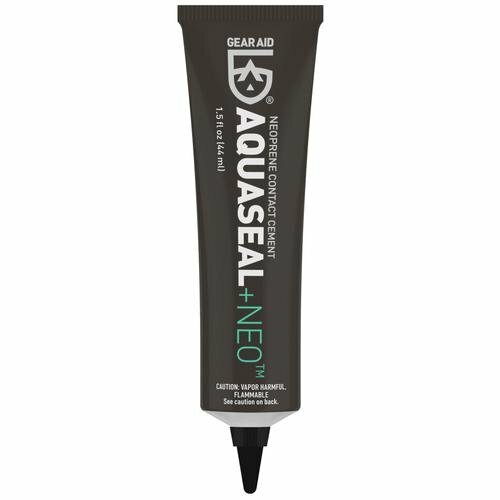 With this flexible liquid adhesive, repairing neoprene gear can be done within half an hour. Apply to waterproof waders, gloves, booties, and spray skirts by the water. 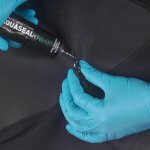 Or re-seal a leaky gasket at home. When rips and tears happen, use this contact cement to repair stretchy, high-performance fabrics and protect it from abrasions. 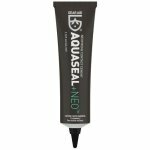 Before venturing out to that favorite fishing hole or dive spot, bring Aquaseal NEO along for unexpected repairs and save that expensive gear.